Caption: This image captures just how many people attended WLIHA’s Conference on Ending Homelessness. As you can see, we were a big crowd! Image from WLIHA. This year I had the pleasure of attending the Washington Low Income Housing Alliance’s Conference on Ending Homelessness in Tacoma, May 13-14. I was there with over 800 people (the largest turnout yet), all devoted to making homelessness rare, brief and one time. There were many highlights, including Firesteel’s presentation on StoryCorps and strategic communications, the Project on Family Homelessness’s “Dessert Dash” and StoryCorps workshop, and the sessions on host homes for homeless youth and trauma-informed care. I loved Firesteel’s presentation on StoryCorps and strategic communications. As part of the Project on Family Homelessness, I have had the honor of helping the StoryCorps effort reach its full potential. As the Firesteel team and Joaquin of WLIHA discussed StoryCorps’ many uses and the role of strategic communications in ending homelessness, I was reminded of how many lives this project has touched. This is a re-post from the Washington Low Income Housing Alliance blog. 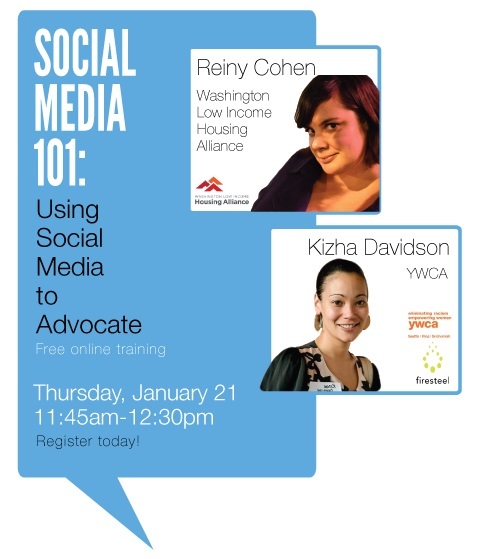 We’re “loaning” our project assistant, Haley Jo Lewis, to the Alliance to help with communications work such as preparing for Housing & Homelessness Advocacy Day, Feb. 17, 2015. Check out some of Haley’s other work here on this blog, like her edited StoryCorps piece, “Stepping Into Homelessness,” and her review of the SIFF premiere of our American Refugees films. Haley also wrote about the Seattle premiere of the film “@home” at the Hack to End Homelessness, and the filmmakers loved her cartoon of Mark Horvath so much that they plan to use it on fund-raising t-shirts to support screenings of the film. My name is Haley Jo Lewis, and I am excited to be Washington Low Income Housing Alliance’s new Communications Intern! I am originally from sunny San Diego and moved to Seattle three years ago to attend Seattle University where I am currently in my senior year studying communications. During my time at Seattle University, I have become aware of many issues in our community and have become engaged in social justice work in a variety of platforms. I have both volunteered with and worked for the Seattle University Youth Initiative as a member of the Redhawk Reading Corp. For this program, I volunteered as a reading tutor in elementary classrooms, where students from low-income families received extra support in learning to read. This work was extremely rewarding. Seeing the progress students made throughout the year because of our program made me realize how possible it is to create change in our communities. Building meaningful relationships with program participants is something I’ll always cherish. When I saw an opportunity in the Communication Department for work at the Project on Family Homelessness, I couldn’t turn it down. I have always been interested in the issue of homelessness. I’m particularly interested in changing the negative public perceptions of individuals experiencing homelessness. I hope that, someday in the future, we can humanize the issue and build a grand-scale social movement to end homelessness. My first experience working in coordination with the Housing Alliance was at Housing and Homelessness Advocacy Day 2014. I met their “communications guy,” Joaquin, and others from the Housing Alliance and attended a workshop on using social media for advocacy led by Joaquin and members of the local advocacy organization Firesteel. It was my first experience at Advocacy Day, and I was pleased to find that both the workshops as well as the legislative meetings were easy to follow. Although I had very little prior knowledge of the legislative process, I found that by the end of the day I had a better understanding of how it all works, and I felt like I had really made an impact in being there. I am now so excited to attend Advocacy Day 2015. I knew right from the beginning that the Housing Alliance knew what they were doing! As a Communications Intern, I am excited to assist in social media work, research, data analysis, digital design, and many other tasks for various Housing Alliance staff members. I hope my skills will help keep the Housing Alliance running smoothly and effectively. I also hope to be a bridge between them and the Seattle University Project on Family Homelessness on various projects, keeping these two awesome organizations in communication with one another, supporting one another’s work, and working together to end homelessness. I am eager to gain experience in the communications sector of nonprofit and advocacy work and am honored to be given this opportunity! Hopefully I’ll see you at this coming Advocacy Day on Tuesday, February 17, 2015 in Olympia. Photos: Top: Me at Advocacy Day 2014 (Photo courtesy of Catherine Hinrichsen). 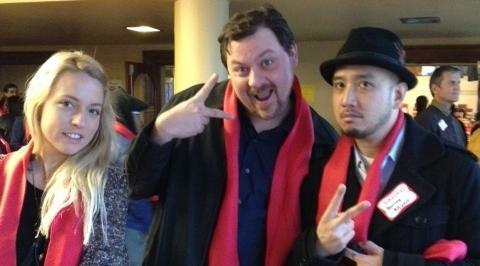 Bottom (left to right): Me, Graham Pruss, and Joaquin Uy at Advocacy Day 2014 (Photo courtesy of Catherine Hinrichsen). We’ve just said some sad good-byes to most of our team members on the Project on Family Homelessness, but we welcome several great additions to our team. Here’s who will be impressing you in the months to come, and a reflection on some of the outstanding work of our former team members. Krista Kent is a senior in the Digital Design program, minoring in Spanish. She’ll be our new design assistant, taking over for McKenna Haley (see below). Krista Kent joins our team as digital designer. Krista comes to us with a strong background in design and active involvement in the community. 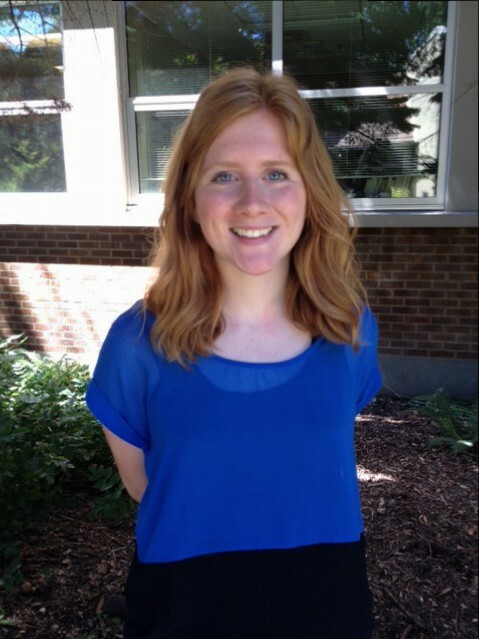 Since winter of 2012, Krista has worked with Seattle University’s Center for Service and Community Engagement. She created flyers and informational design for the Center, and has worked at Bailey-Gatzert Elementary assisting teachers in classrooms and helping first graders in an afterschool-tutoring program. Recently Krista had the opportunity to re-brand First Cup Coffee House into Mama’s Café, as part of the 23rd and Union Small Business Consultation and Community Enhancement Project. Emma Lytle is our new project assistant, replacing Tiana Quitugua, who just graduated (see below). 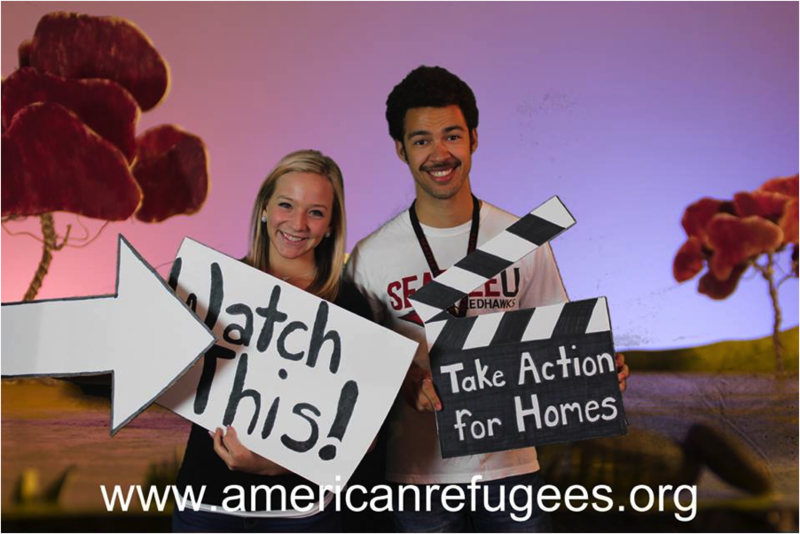 Emma (left) at the American Refugees photo booth hosted by Firesteel; she’s posing with Jediah McCourt. 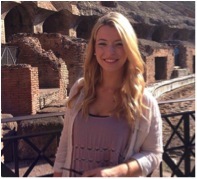 Emma is entering her senior year as a strategic communications major at Seattle University. 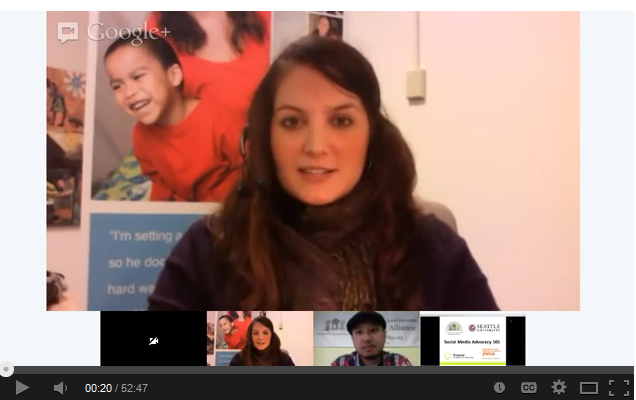 She joins us with a passion for working with non-profits and with children. She recently finished a seven-month internship with the Make-A-Wish Foundation, where she handled sensitive communication with families and healthcare professionals. Emma also worked for several years as a daycare teacher and loves working with children and families. Some of our partners might remember Emma from her enthusiastic volunteer work and professionalism at the Hack to End Homelessness and the SIFF American Refugees premiere. She’s busy working on outreach for the StoryCorps project. We’re happy to welcome back Perry Firth, in an expanded role as half-time Project Coordinator, taking over for Graham Pruss (see below). Perry Firth returns in an expanded role. 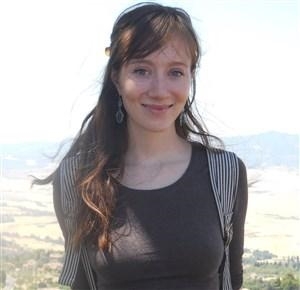 Perry is continuing her graduate work at Seattle U in school psychology and spent the past school year as a research assistant to a visiting scholar and counseling psychologist. Their work together focused on prevention and wellness, ecological counseling, and toward the end of their time together, school shootings. That position ended just as we needed to fill our position — lucky us! Perry is committed to approaching mental health issues through a social justice lens, and has a special interest in anxiety disorders, adolescence, and issues that disproportionately impact women. She is a gifted writer who is especially adept at analyzing the intersection between academic research and its applications to family homelessness, just as she did in these Firesteel posts on Adverse Childhood Experiences (ACEs) and the all-time most-viewed Firesteel post, on dehumanization, “Why We Keep Walking.” We’ll be looking for her to help us understand more about the important links between housing and academic achievement for children in our state.